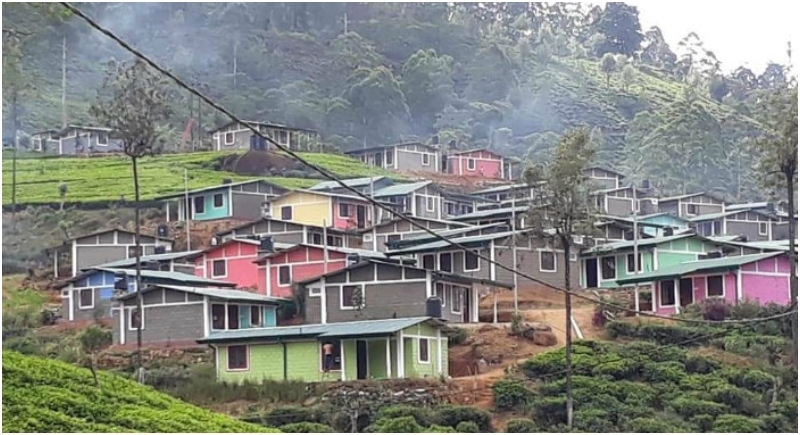 Colombia, January 21: Strengthening camaraderie and living up to the policy of ‘Neighbours First’, India on Sunday handed over 150 newly developed houses under the Indian Housing Project to beneficiaries in Nuwara Eliya. India's collaboration with Srilankan government under Model Villages Housing Program stands at 2400 houses in 100 model villages. The houses were handed over to the beneficiaries in a special ceremony which was attended by dignitaries and ministers and Dr. Shilpak N. Ambule, Deputy High Commissioner of India to Sri Lanka were Guests of Honour. Addressing the event, Deputy High Commissioner Ambule observed that the Indian Housing Project in Sri Lanka with a grant of over US$ 350 million was the largest Indian grant assistance project in any country abroad. He also recalled that out of the total commitment of 63,000 houses, 47,000 houses had already been built. Expressing India’s support for realization of Sri Lanka’s developmental priorities, he reiterated Government and people of India’s commitment to participate with the people of Sri Lanka in their journey towards greater peace and prosperity. 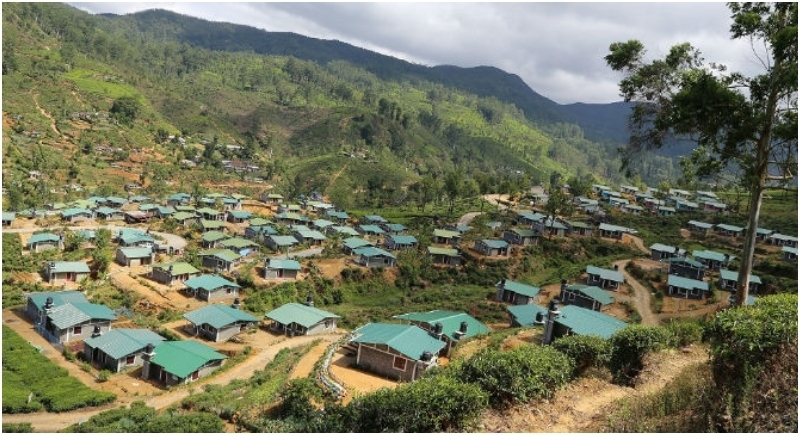 India and Sri Lanka had signed two Memorandum of Understanding (MoU) for construction of 1200 houses through 50 model villages, using Indian grant assistance of 60 crore Srilankan rupees. The overall development portfolio of Government of India in Sri Lanka is close to 3 billion US dollars. India partners with Sri Lanka according to Sri Lanka’s needs and the development projects are being executed all across Sri Lanka. 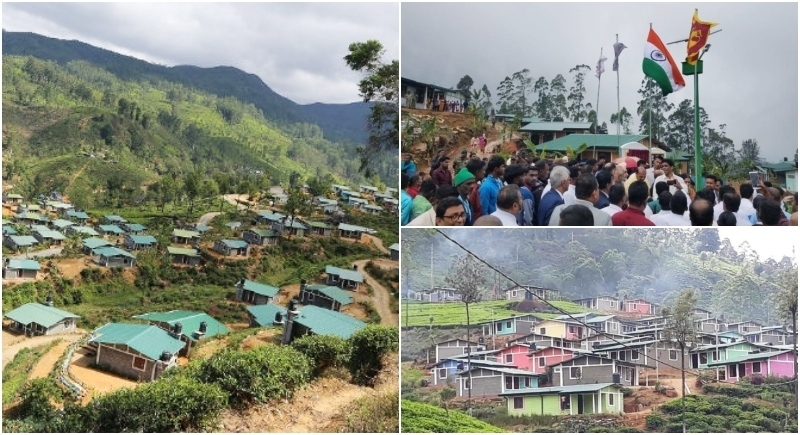 Earlier too, as a gesture of goodwill for the Tamilians who reside in Sri Lanka, India handed over the first lot of houses built under USD 350 million project for Indian-origin people in Sri Lanka's tea plantation areas. The Indian Housing Project is ought to be one of the largest one in India in any country. Almost 404 houses were handed over to the Indian-origin people.